The field of biomaterials has grown dramatically over the past several years. To date, synthetic materials have been successfully used for skeletal repair. Medical prostheses such as joint replacements, dental implants and cardiovascular devices have been accepted as the effective option of reconstruction for many people. In addition, biomaterials play a key role in the emerging area of tissue engineering, where living cells are cultured on the biomaterial scaffolds to create new biological substances. 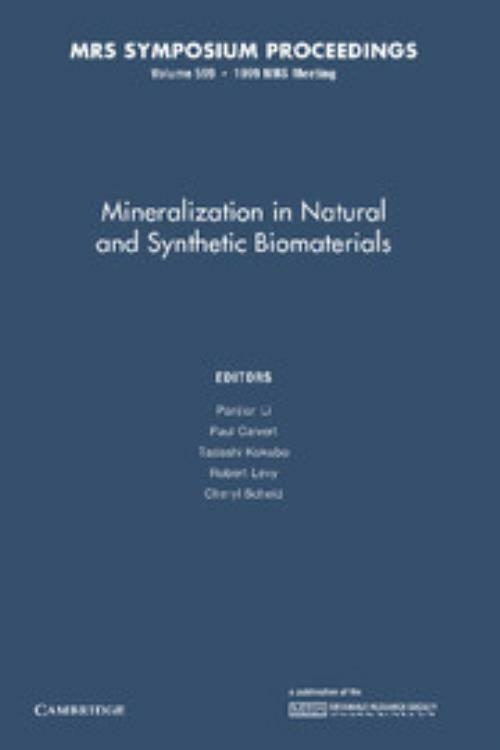 This book focuses on biomineralization to improve the performance of medical implants, to prepare new materials and coatings, to solve problems in industry and to cure diseases. It covers all aspects of promotion and prevention of mineral formation in both natural and synthetic biomaterials. Mineralization in bacteria, arthropods, and other organisms are included, as are deposition of silica, iron oxides and other hard compounds. Topics include: calcium phosphate biomaterials; biomimetic apatite coatings; biomimetic ceramic thin films; generation of CaCO3 in nature; SiO2 in biological systems; mineralization on organic surface; and mineral-protein interaction. Paul Calvert University of Arizona. Tadashi Kokubo Kyoto University, Japan.